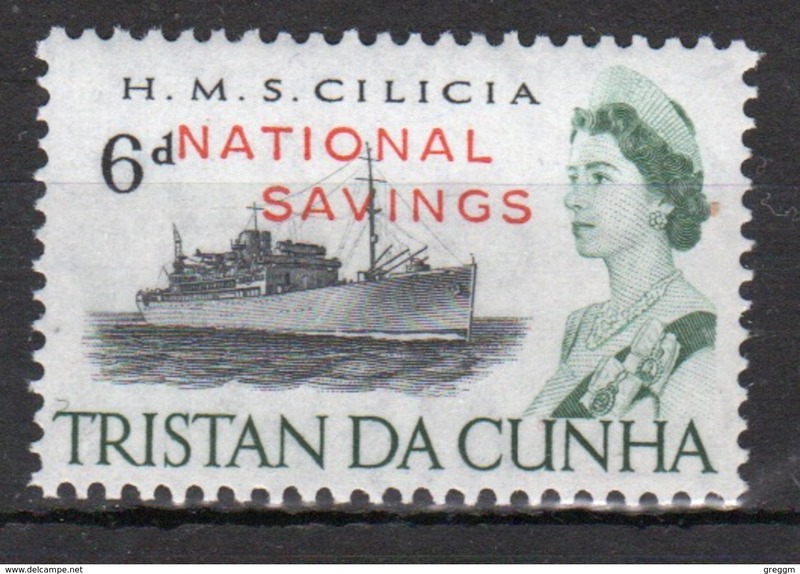 Tristan Da Cunha 1970 single stamp from the 65 Ship series overprinted with National Savings. 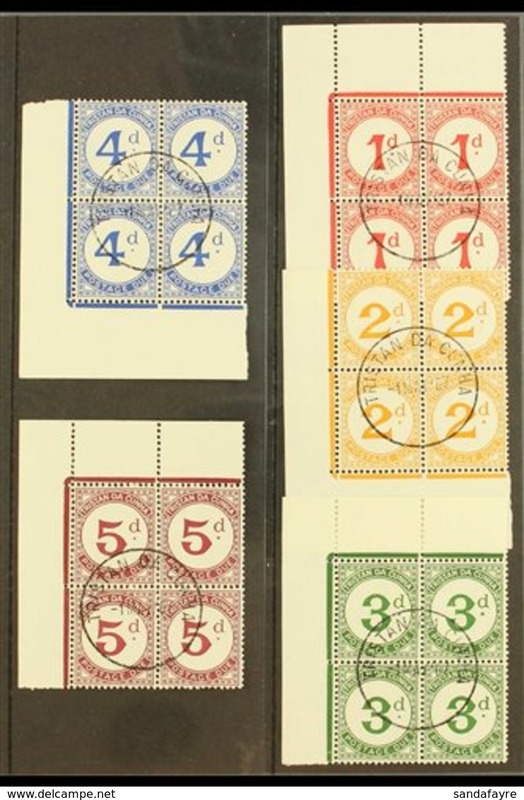 Tristan Da Cunha 1976 set of Postage Due stamps in corner blocks of four. 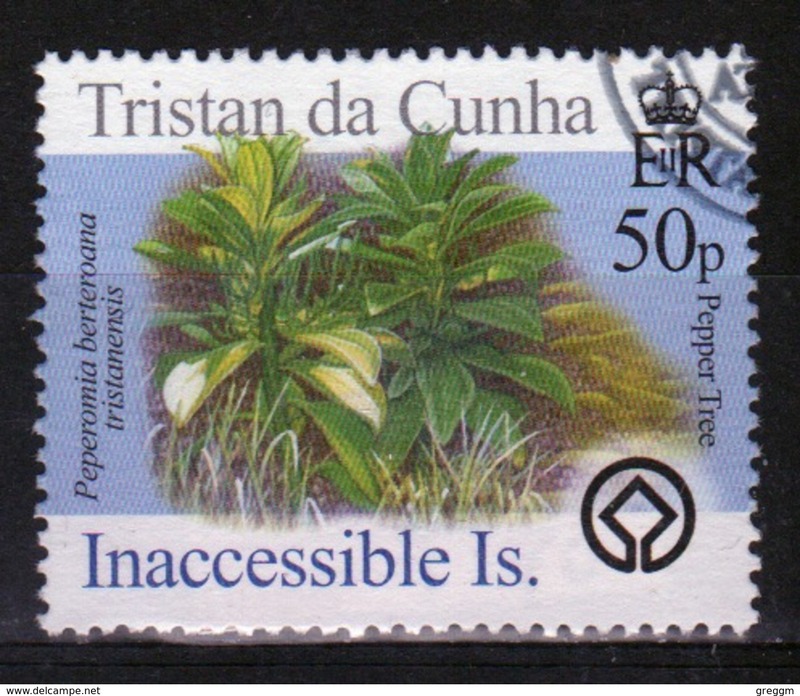 Tristan Da Cunha 2005 single stamp from the Islands 3rd series (Inaccessible). 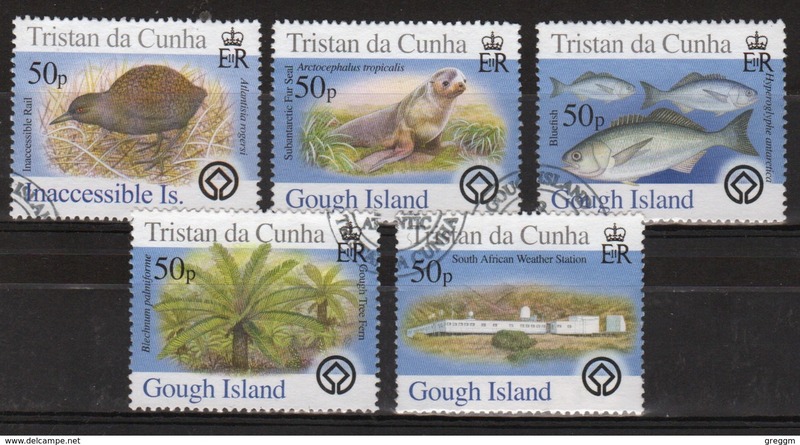 Tristan Da Cunha 2005 complete set of stamps commemorating Islands 2nd series (Gough). 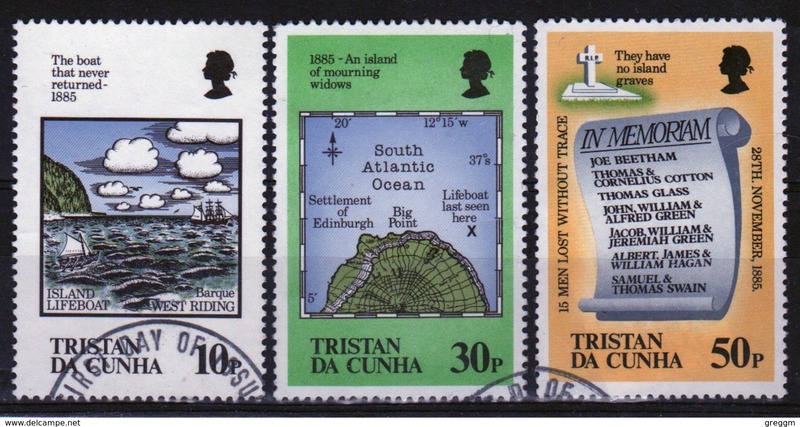 Tristan Da Cunha 1985 complete set of stamps commemorating The Loss of the Island Lifeboat. 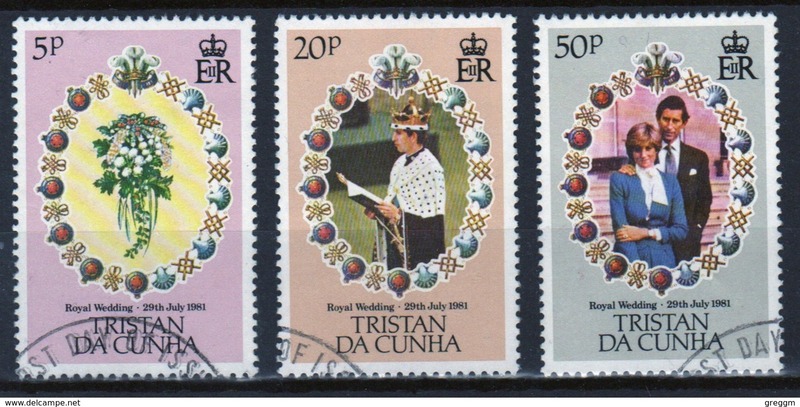 Tristan Da Cunha 1981 complete set of stamps commemorating The Royal Wedding. 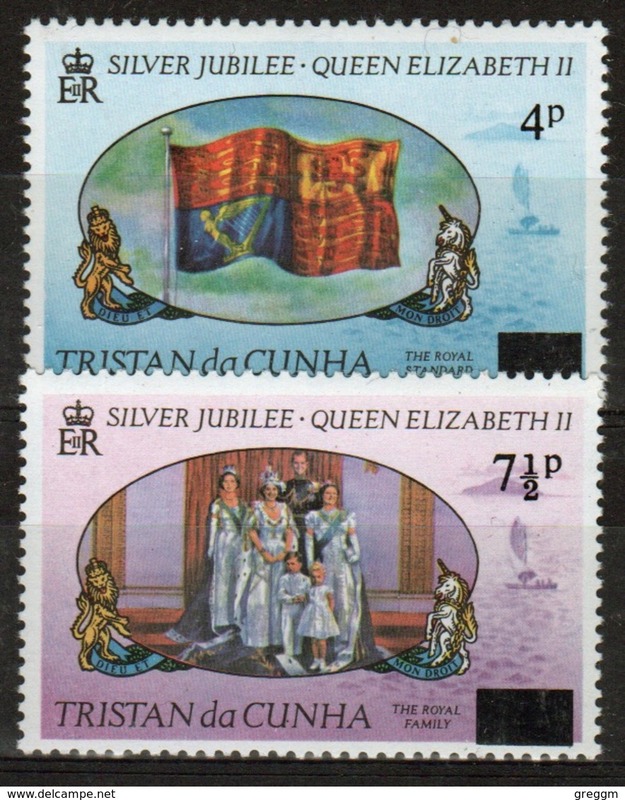 Tristan Da Cunha 1992 complete set of stamps commemorating 40th Anniversary of Accession to the Throne. 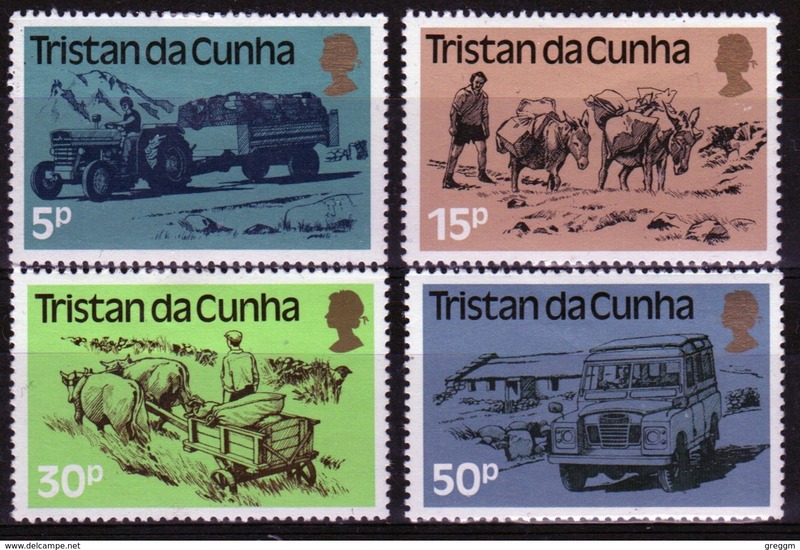 Tristan Da Cunha 1971 complete set of stamps commemorating Island Families. 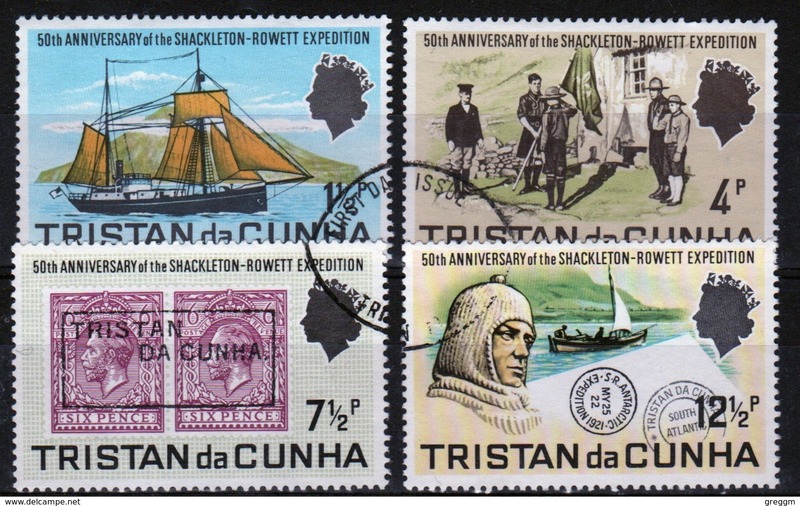 Tristan Da Cunha 1971 complete set of stamps commemorating Shackleton - Rowett Expedition. 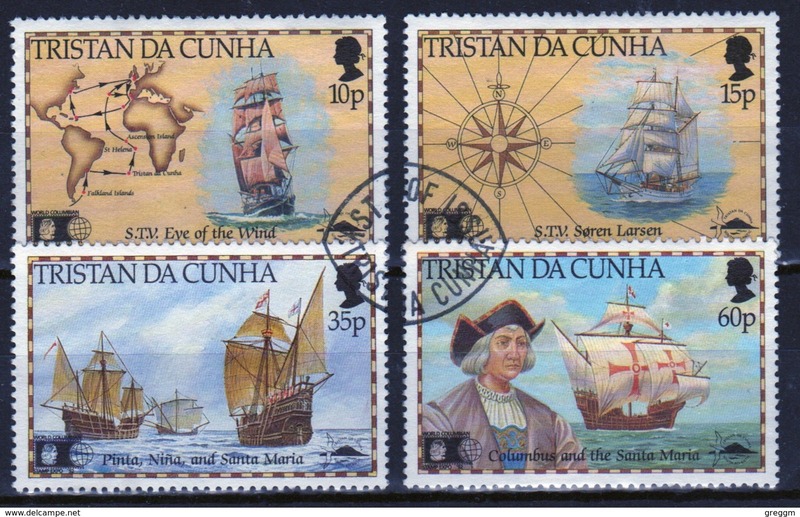 Tristan Da Cunha 1992 complete set of stamps commemorating Discovery of America by Collumbus. Tristan Da Cunha 1990 complete set of stamps commemorating Echinoderms. 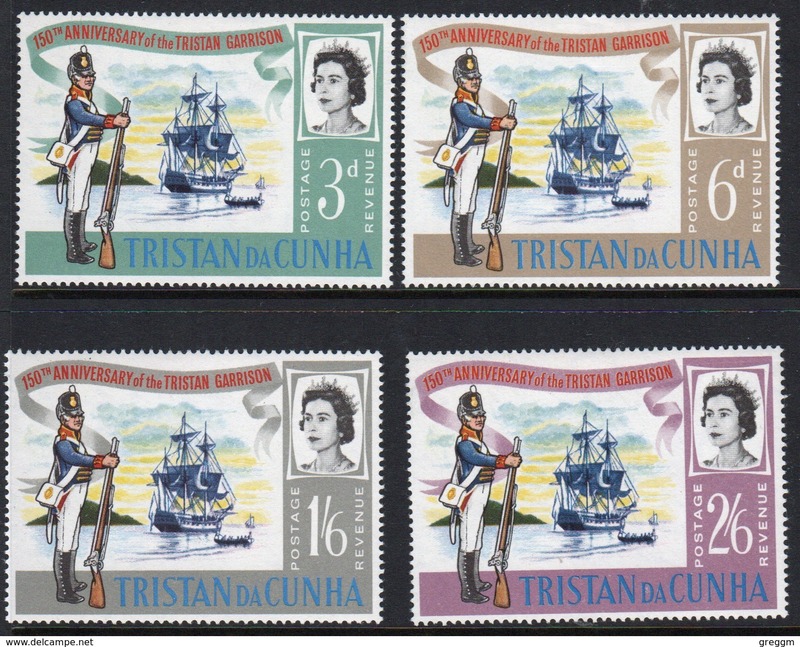 Tristan Da Cunha 1979 complete set of stamps commemorating Death Centenary of Sir Rowland Hill. 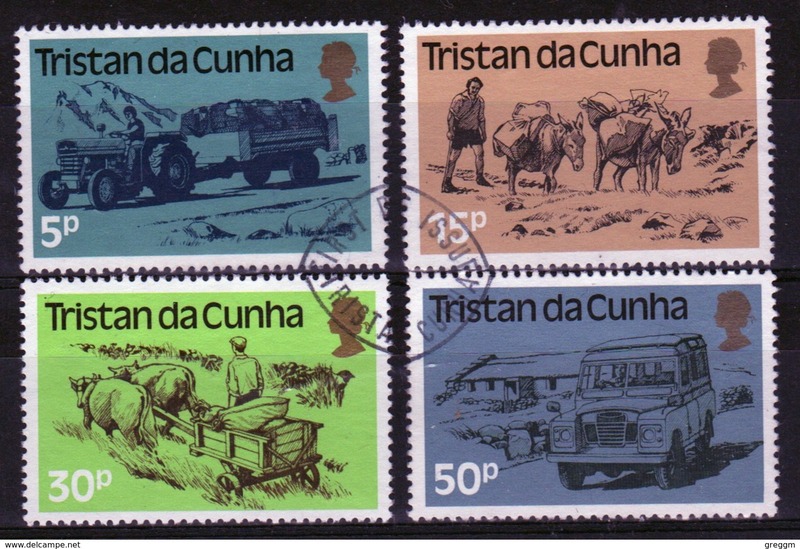 Tristan Da Cunha 1983 complete set of stamps commemorating Land Transport. Tristan Da Cunha 1966 complete set of stamps commemorating Tristan Garrison. 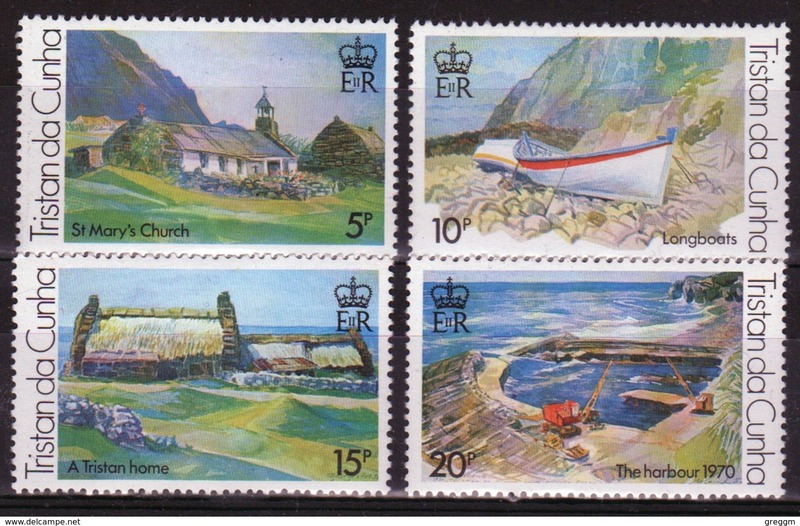 Tristan Da Cunha 1983 complete set of stamps commemorating Island History. Tristan Da Cunha 2001 complete set of stamps commemorating Tristan Longboats. 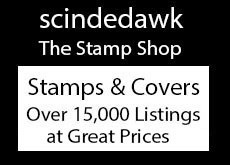 Tristan Da Cunha 1968 complete set of stamps commemorating Birds. 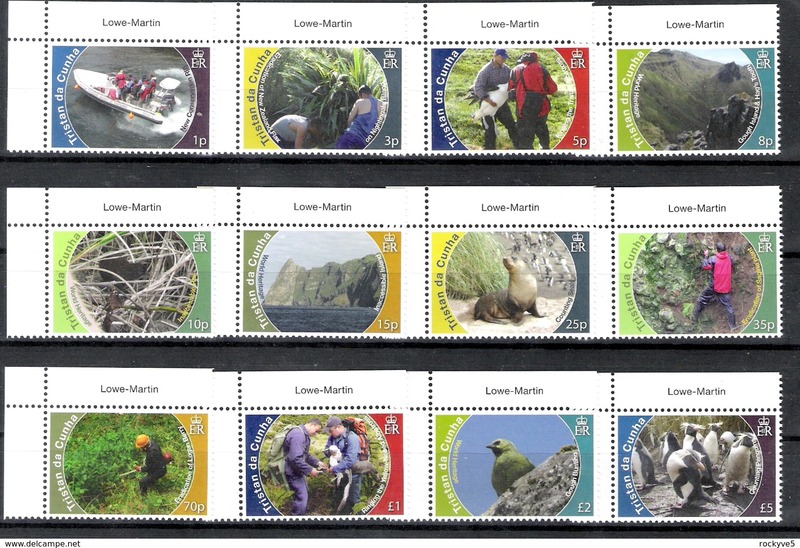 Tristan Da Cunha 1980 complete set of stamps commemorating 150th Anniversary of the Geographical Society. 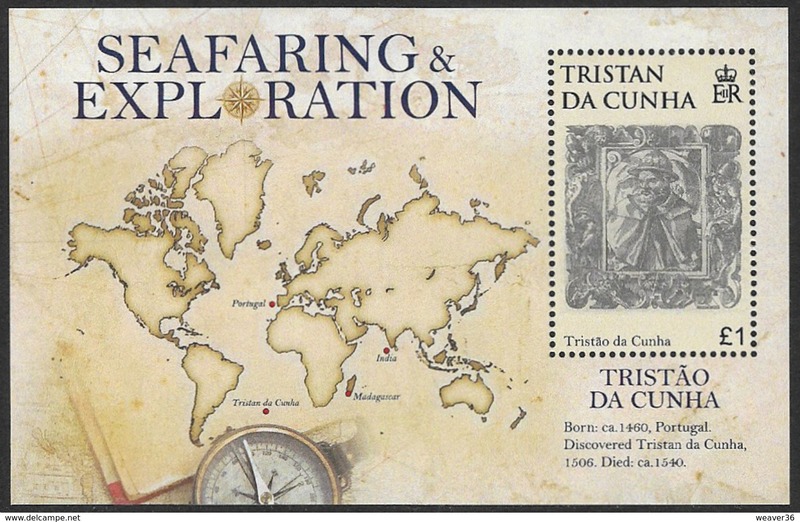 Tristan Da Cunha 1981 complete set of stamps commemorating Early Maps. 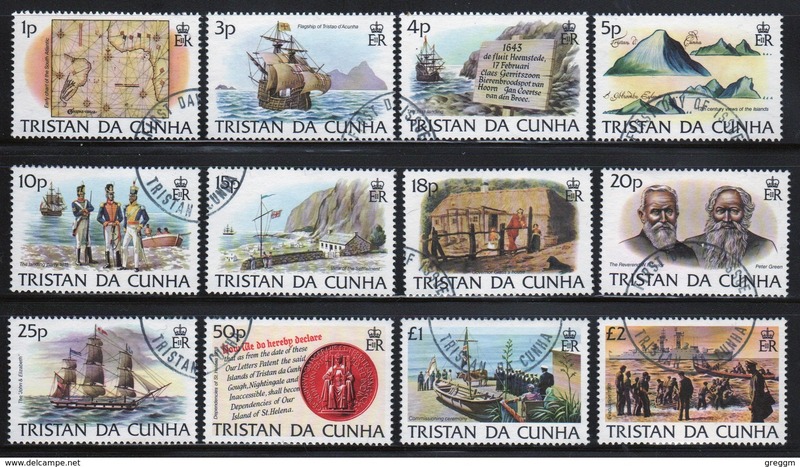 Tristan Da Cunha 1980 complete set of stamps commemorating Sir Francis Drake. 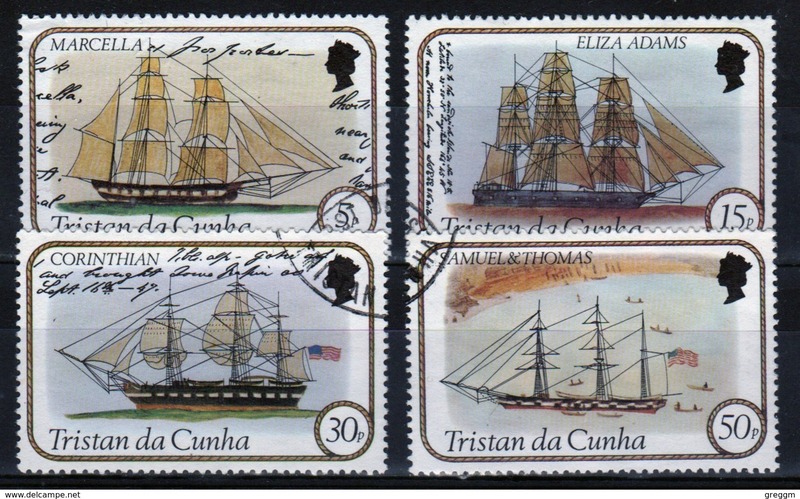 Tristan Da Cunha 1983 complete set of stamps commemorating Sailing Ships 2nd series. 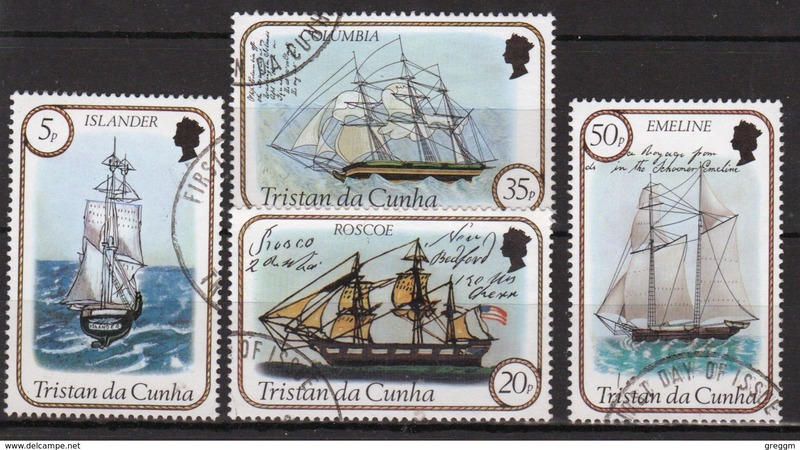 Tristan Da Cunha 1982 complete set of stamps commemorating Sailing Ships 1st series. Tristan Da Cunha 1982 complete set of stamps commemorating Sharks. Tristan Da Cunha 1981 complete set of stamps commemorating Edwin Dodgsons Arrival. Tristan Da Cunha 1980 complete set of stamps commemorating London 80 Stamp Exhibition. Tristan Da Cunha 1982 complete set of stamps commemorating Volcanoes. Tristan Da Cunha 1982 complete set of stamps commemorating 75th Anniversary of Boy Scout Movement. 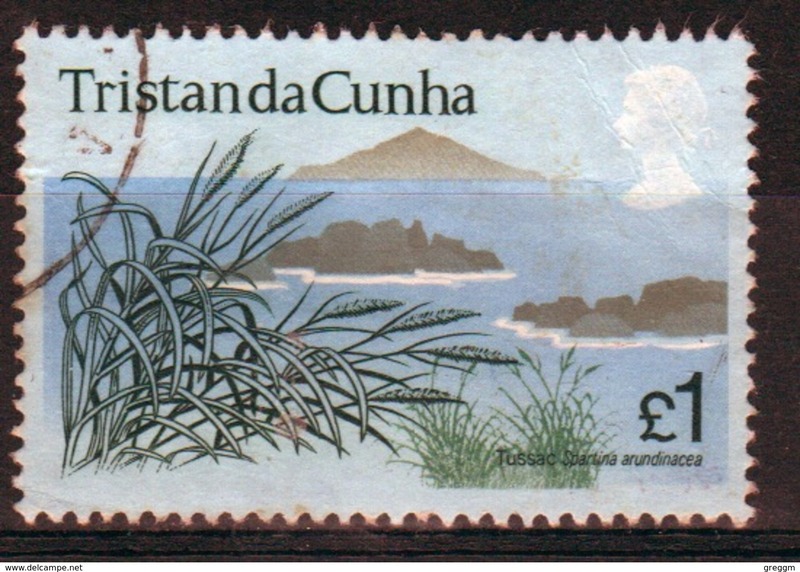 Tristan Da Cunha 1972 single £1 fine used stamp from the Flowering Plants set. 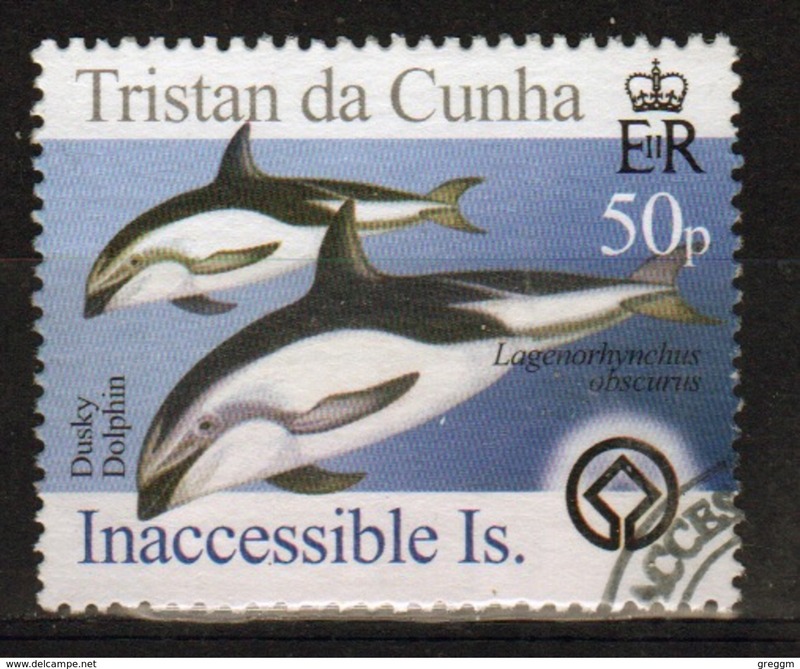 Tristan Da Cunha 1975 complete set of stamps commemorating Whales. 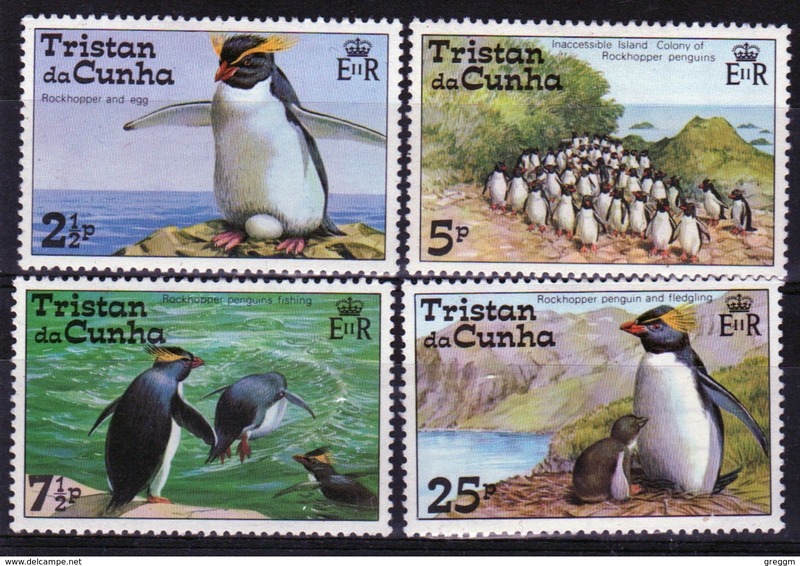 Tristan Da Cunha 1974 complete set of stamps commemorating Rockhopper Penguins. 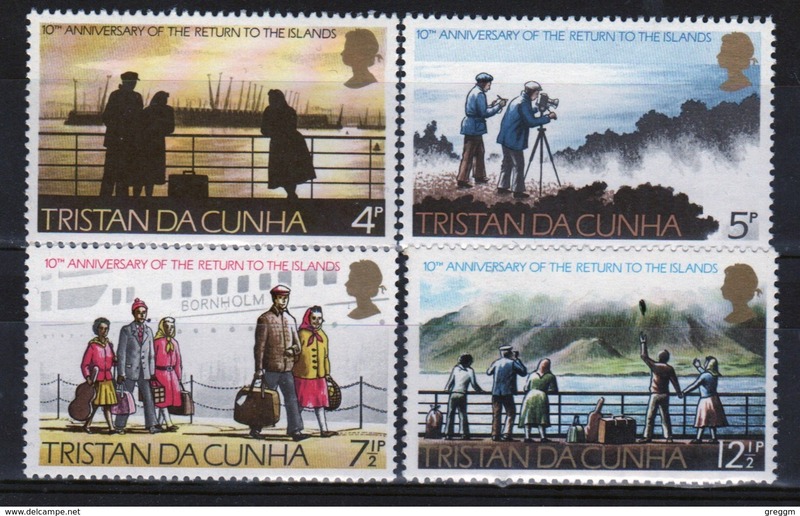 Tristan Da Cunha 1973 complete set of stamps commemorating 10th Anniversary of the return to Tristan Da Cunha. 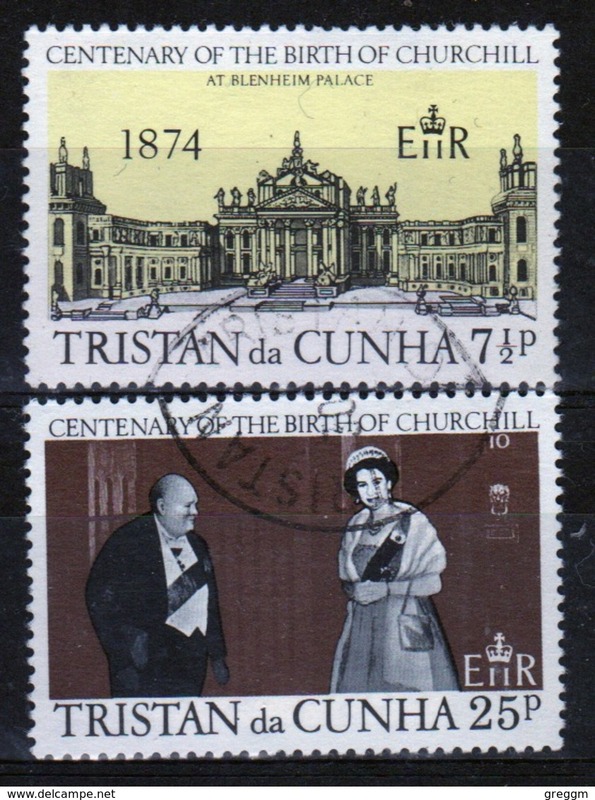 Tristan Da Cunha 1974 complete set of stamps commemorating Birth Centenary of Winston Churchill. 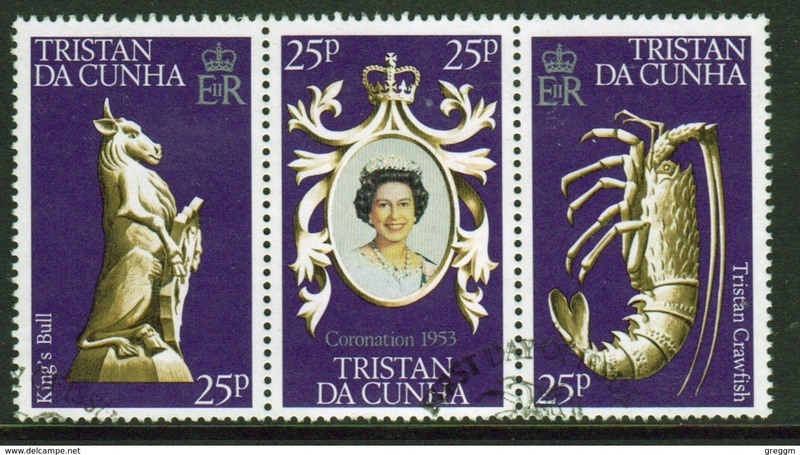 Tristan Da Cunha 1985 complete set of stamps commemorating The Life and Times of the Queen Mother. Tristan Da Cunha 1972 complete set of stamps celebrating the Royal Silver Wedding. Tristan Da Cunha 1978 complete set of stamps celebrating the 25th Anniversary of the Coronation. Tristan Da Cunha 1986 complete set of stamps celebrating the 60th Birthday of the Queen. 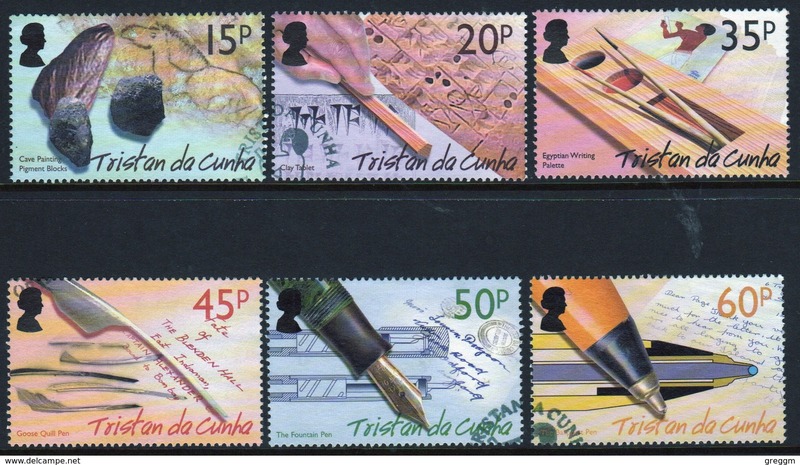 Tristan Da Cunha 2004 complete set of stamps celebrating the History of Writing. Tristan Da Cunha 1978 complete set of stamps from Silver Jubilee set overprinted. 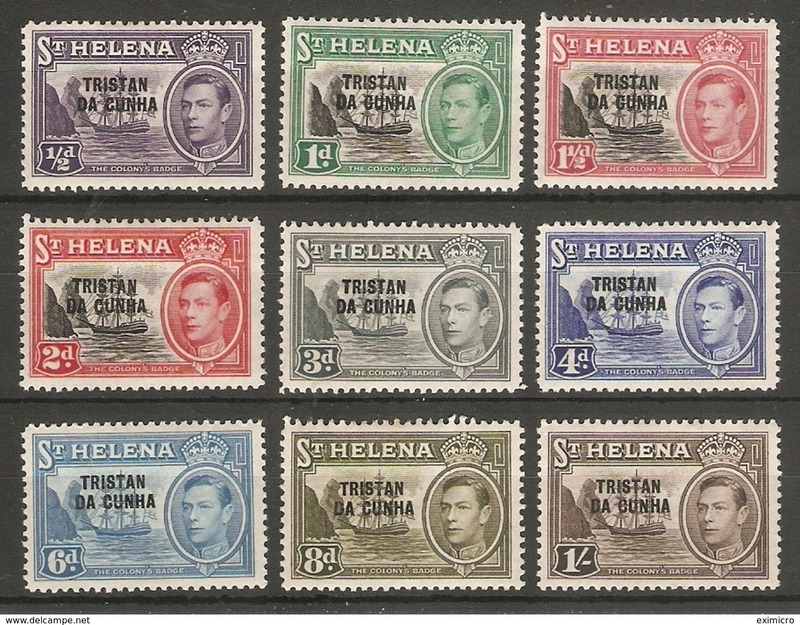 Tristan Da Cunha 1983 complete set of stamps commemorating 150th Anniversary of St Helena as British Colony. Tristan Da Cunha 1983 complete set of stamps commemorating 500th Birth of Raphael. 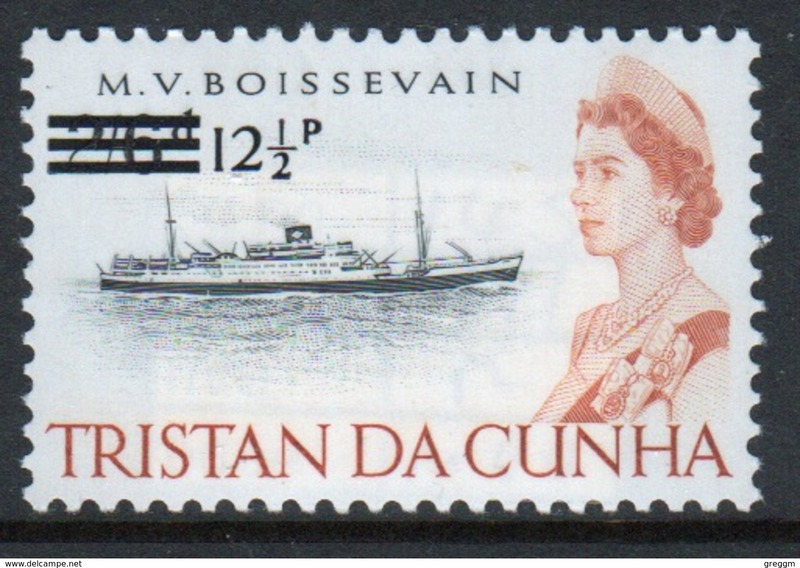 Tristan Da Cunha 1978 complete set of stamps commemorating Royal Fleet Auxiliary Vessels. 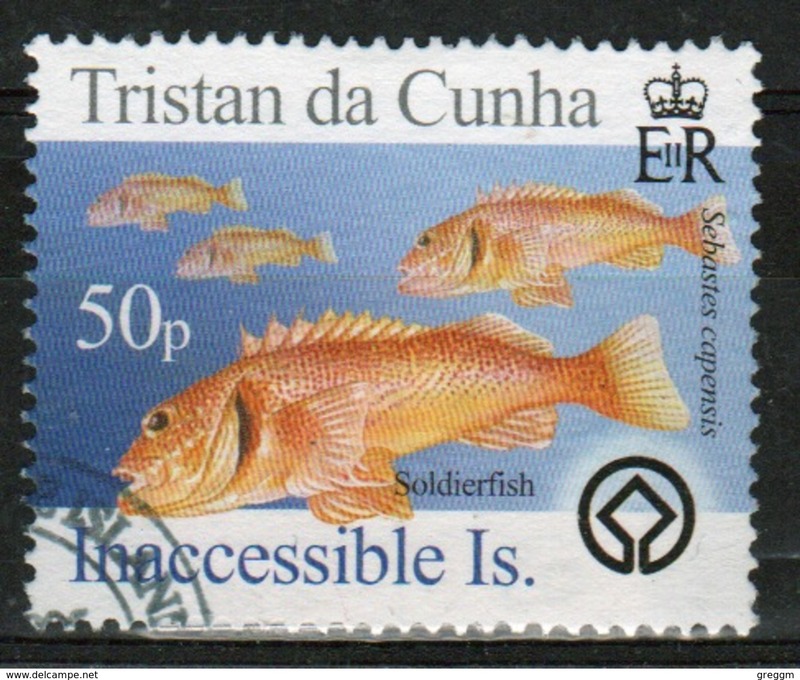 Tristan Da Cunha 1978 complete set of stamps commemorating Fish. 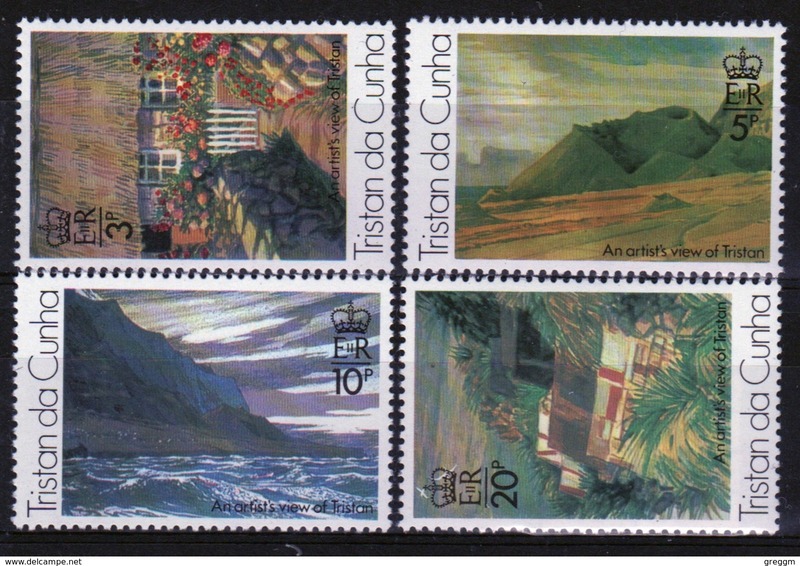 Tristan Da Cunha 1980 complete set of stamps commemorating Paintings by Roland Svensson 3rd series. Tristan Da Cunha 1976 complete set of stamps commemorating Paintings by Roland Svensson 2nd series. Tristan Da Cunha 1976 complete set of stamps commemorating Paintings by Roland Svensson 1st series. Tristan Da Cunha 1976 complete set of stamps commemorating Festival of Stamps. 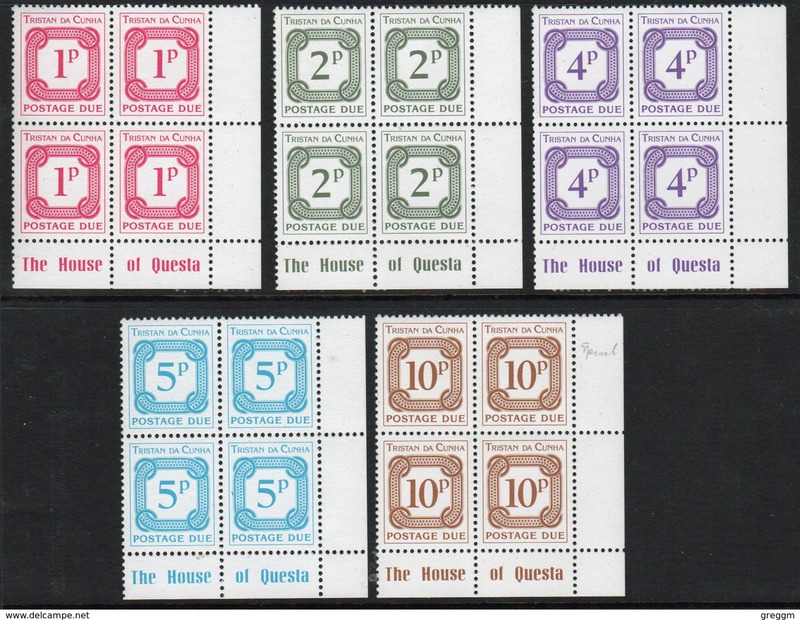 Tristan Da Cunha 1970 complete set of stamps commemorating Centenary of the British Red Cross. Tristan Da Cunha 1982 complete set of stamps commemorating The 21st Birthday of Princess Diana. 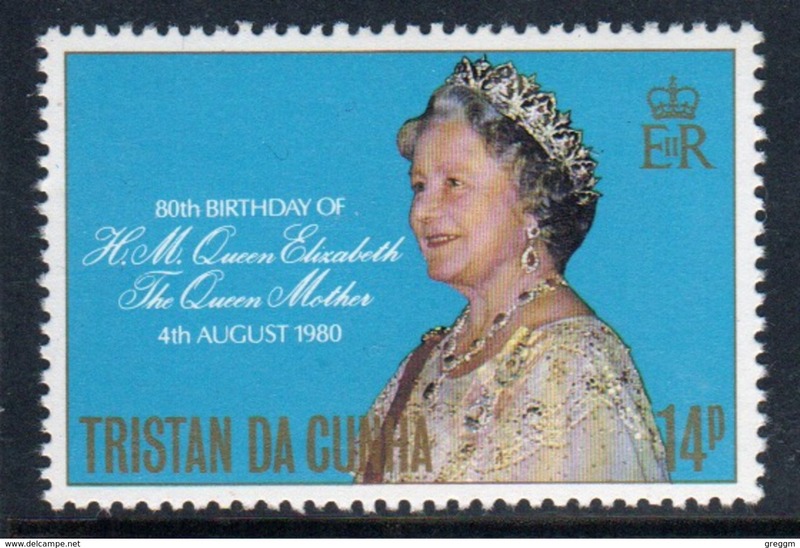 Tristan Da Cunha 1980 complete set of stamps commemorating The 80th Birthday of the Queen Mother. Tristan Da Cunha 1981 complete set of stamps commemorating Duke of Edinburgh Award Scheme. 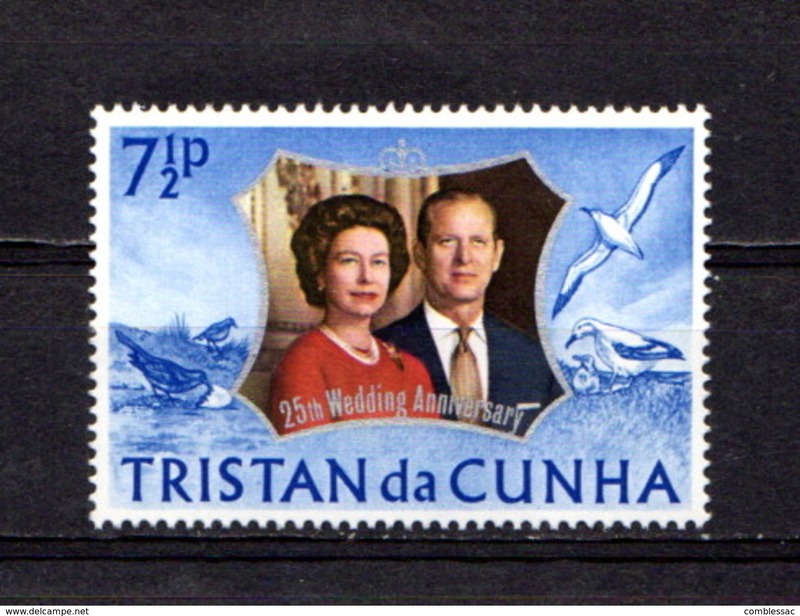 Tristan Da Cunha 1981 set of stamps to celebrate The Royal Wedding. 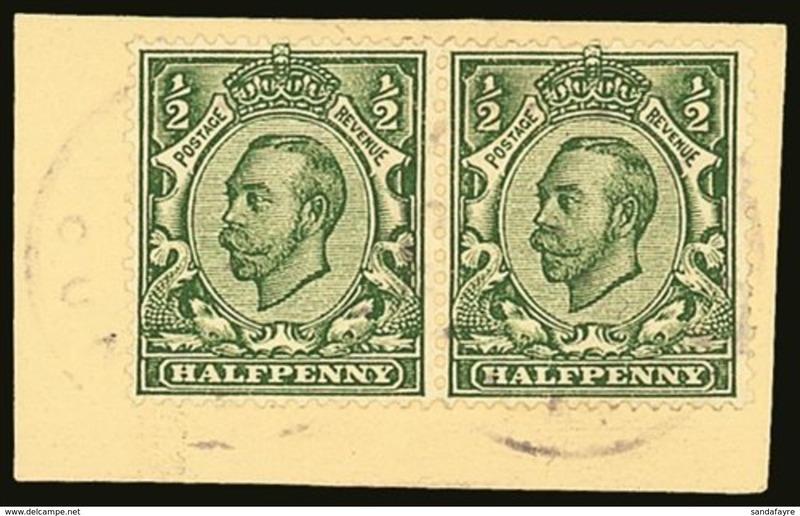 Tristan Da Cunha 1973 set of stamps to celebrate The Royal Wedding. 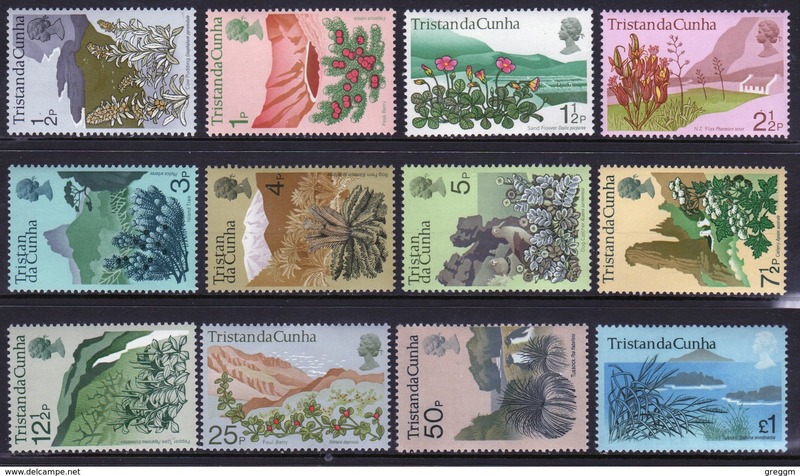 Tristan Da Cunha 1972 set of stamps to celebrate Flowering Plants. Tristan Da Cunha 1984 set of stamps celebrating the Night Sky. 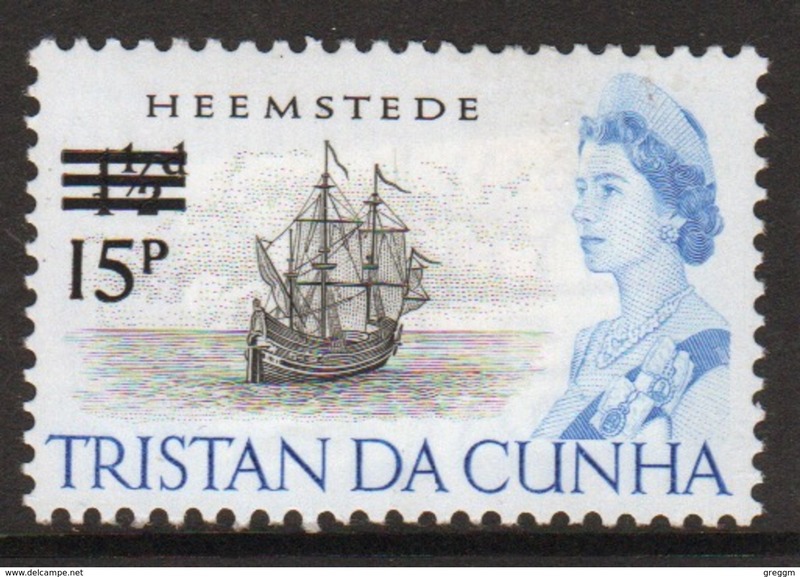 Tristan Da Cunha 1971 single 15p definitive stamp from the 65 ship series overprinted for Decimal. 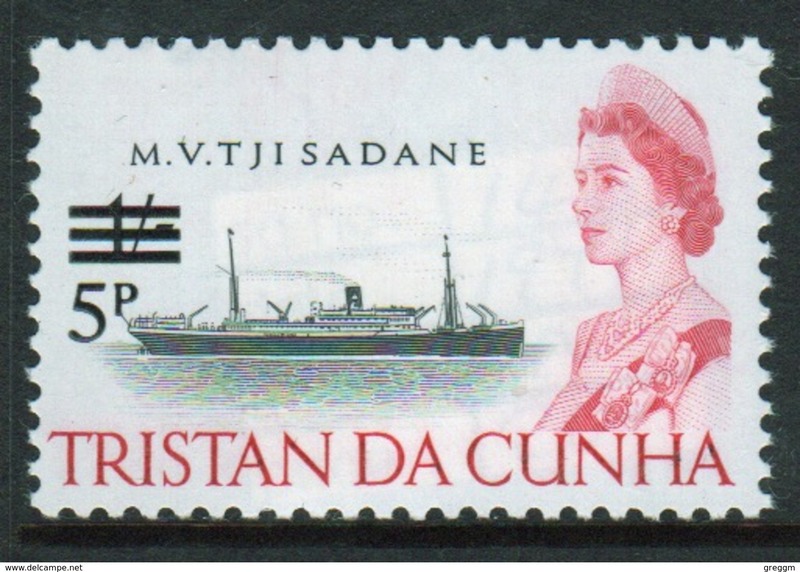 Tristan Da Cunha 1971 single 12½p definitive stamp from the 65 ship series overprinted for Decimal. 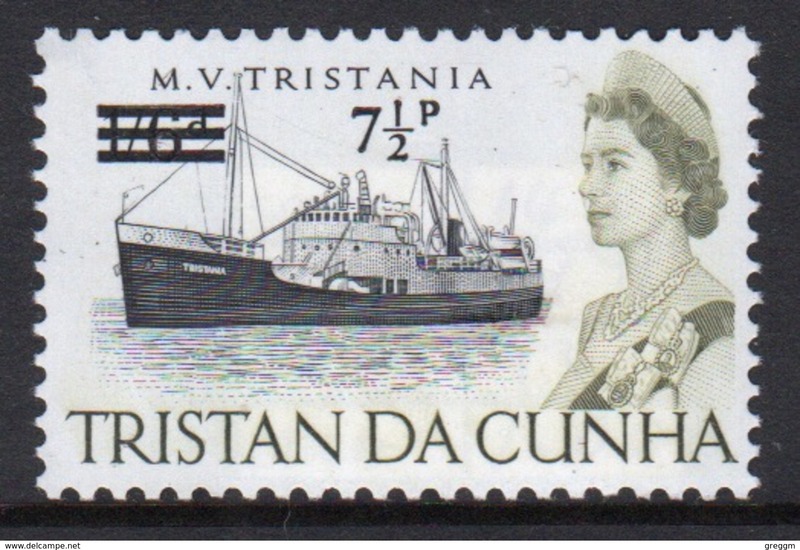 Tristan Da Cunha 1971 single 7½p definitive stamp from the 65 ship series overprinted for Decimal. 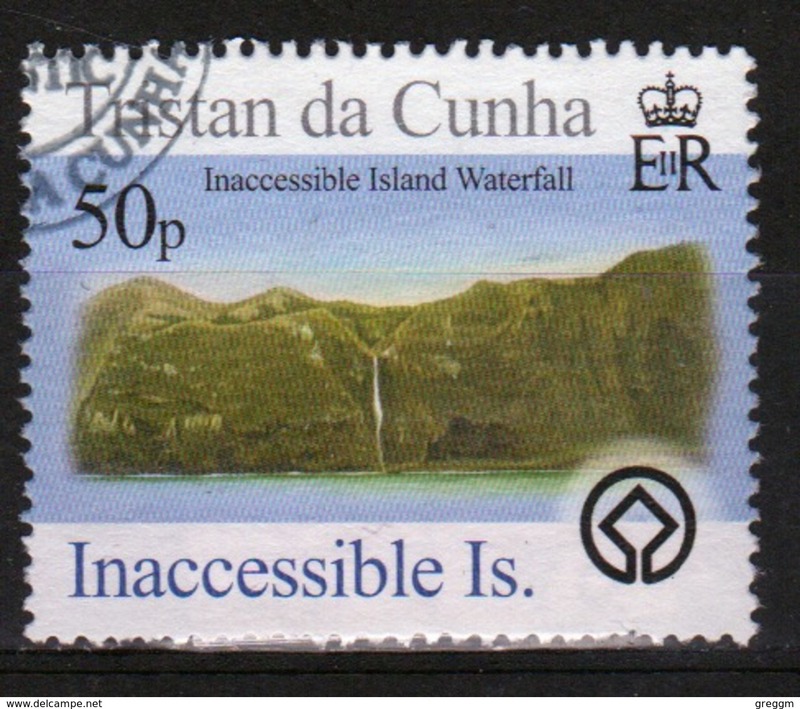 Tristan Da Cunha 1971 single 5p definitive stamp from the 65 ship series overprinted for Decimal. 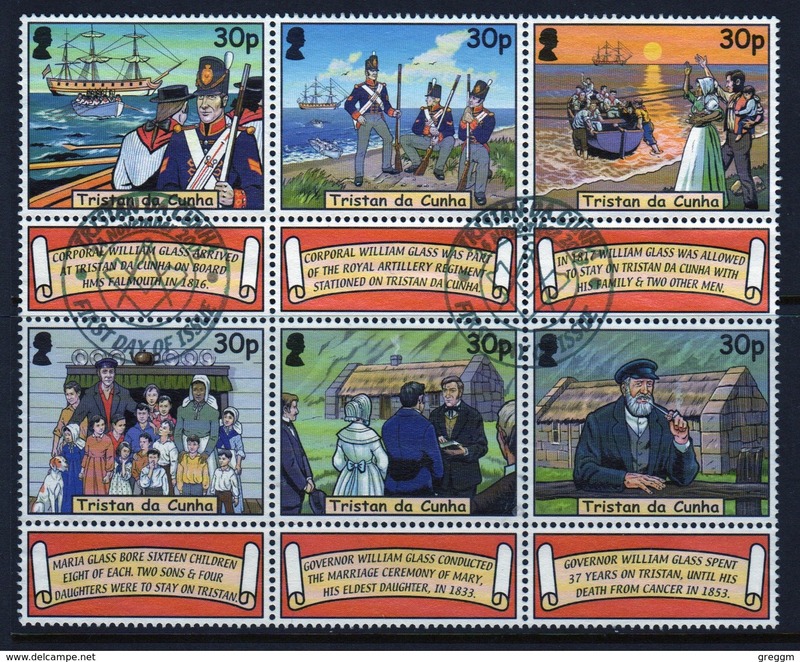 Tristan Da Cunha 2003 set of stamps to celebrate The Death Anniversary of William Glass Founder. 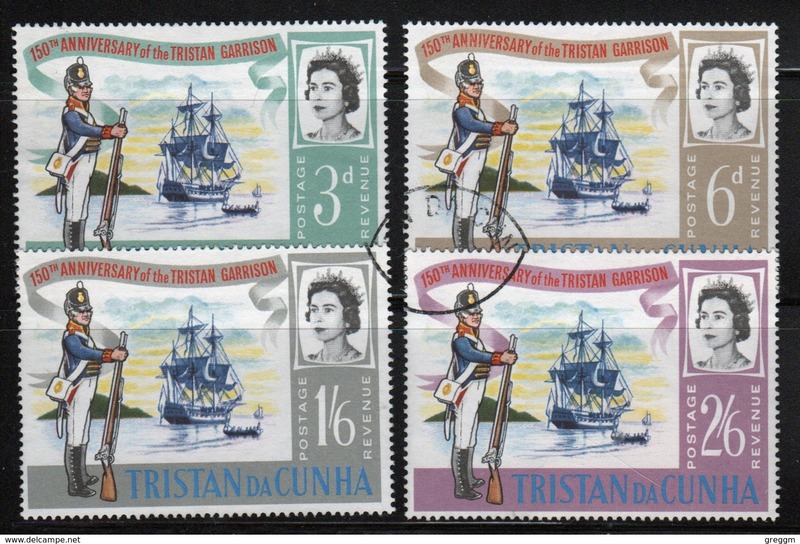 Tristan Da Cunha 1966 set of stamps to celebrate The 150th Anniversary of the Garrison. Tristan Da Cunha 1967 set of stamps to celebrate The Opening of Calshot Harbour. Tristan Da Cunha 1966 set of stamps to celebrate World Cup Football. 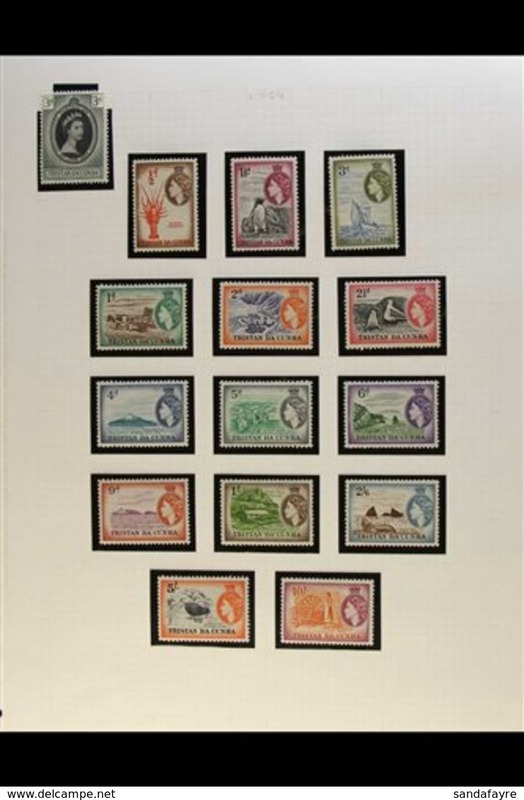 Tristan Da Cunha 1966 set of stamps to celebrate Anniversary of UNESCO. 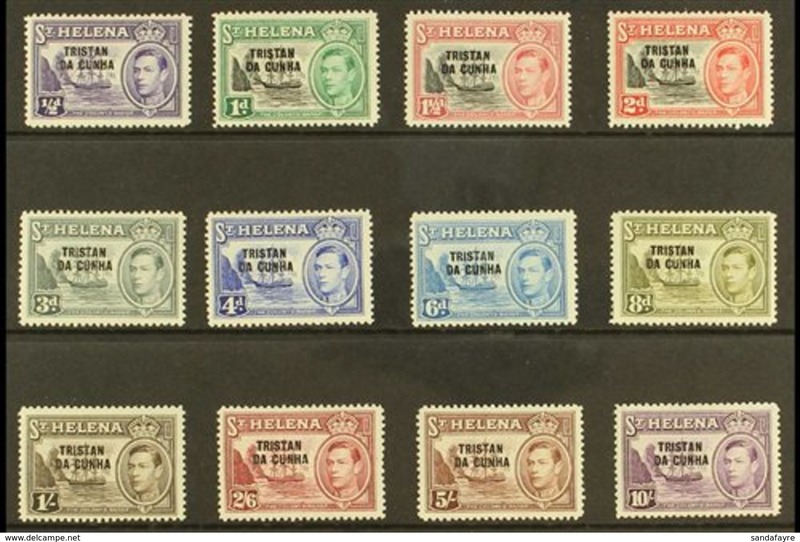 Tristan Da Cunha 1966 set of stamps to celebrate Churchill Commemoration. Tristan Da Cunha 1967 set of stamps to celebrate The Centenary of the 1st Duke of Edinburgh's Visit. 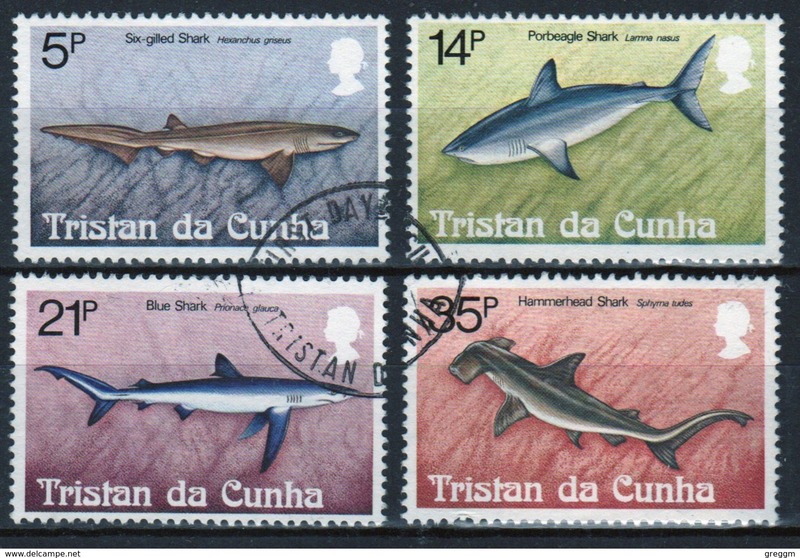 Tristan Da Cunha 1982 set of stamps to celebrate Sharks.